Melissa McKinnies (left) and Ebony Williams lead protesters along Washington Avenue. 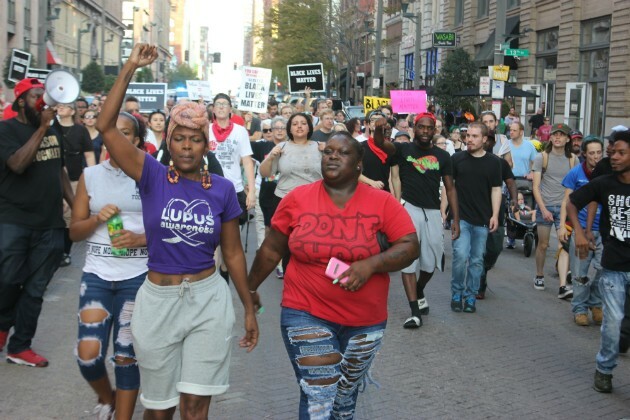 Protesters returned to the streets of downtown St. Louis this afternoon — the 30th day since the acquittal of a white ex-cop accused of murdering a black man. "Let's talk about some of the bad," activist Tory Russell told the crowd gathered outside the St. Louis Metropolitan Police Department. "But let's also celebrate some of the good." The past month of demonstrations has tested the group. More than a dozen of the roughly 150 people at today's protests had been arrested, pepper sprayed or teargassed during the series of near-daily demonstrations. Five protesters were arrested just the night before at a march in Ferguson for refusing to leave the streets. 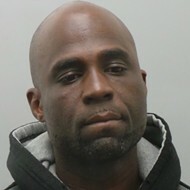 A total of 306 have been arrested so far in St. Louis city, and another 22 were arrested — many of them tackled — at the St. Louis Galleria when Richmond Heights and St. Louis County police decided to clear them out of the mall. Still, the marchers continue to draw crowds. Protesters managed to scare the band U2 and singer Ed Sheeran into canceling St. Louis concerts. They have temporarily shut down shopping centers and too many roads in too many places to count. On a night that ended in 143 trespassing arrests, demonstrators took over a swath of Interstate 64/40 and marched in the low beams of a line of cars that stretched out of sight. Protesters promised mass disruptions, and they have delivered. They met at 3 p.m. this afternoon, formed five lines of 30 or so people in front of the police department and marched east on Olive Boulevard with their arms linked together. "I believe we will win!" they chanted. They stopped in front of the Carnahan Courthouse, where on September 15 Judge Timothy Wilson found ex-St. Louis police Officer Jason Stockley not guilty of murdering 24-year-old Anthony Lamar Smith after a car chase in 2011. The case was the spark behind the current wave of demonstrations, but the protests have encompassed police abuse in general as activists have repeatedly called out the names of people killed by law enforcement. 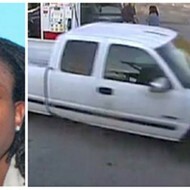 Antionette Harmon's brother, Patrick Harmon, was killed by police in Salt Lake City. Antionette Harmon joined this afternoon's march. 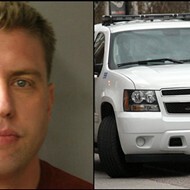 Her brother, former St. Louis resident Patrick Harmon, was killed on August 13 by police in Salt Lake City. 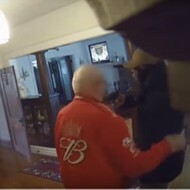 A online video that shows Harmon sprinting away from officers before they opened fired has been viewed millions of times in the past two weeks. The shooting was originally determined to be justified, but now the Salt Lake City District Attorney and the FBI are examining the case. 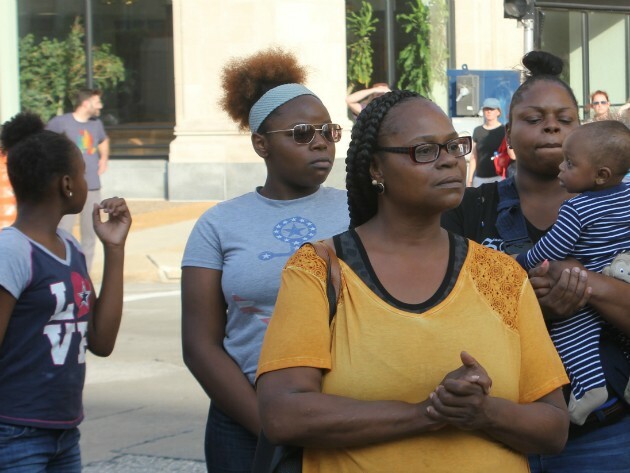 "They didn't have to shoot him down like a dog," Antionette Harmon, who still lives in St. Louis, said as she marched. Her fellow protesters were sympathetic, placing the 50-year-old's death within a pattern of police killings across the country. "These are lives being taken by people who are supposed to protect and serve," activist Cori Bush shouted into a bullhorn. Sunday is scheduled to be a day of rest for a protesters. On Monday, they expect to host a planning meeting at the Urban League on West Florissant in Ferguson. Bring your ideas," Bush told the crowd.